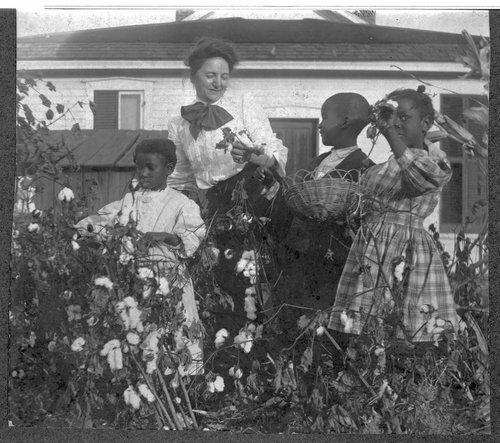 This photograph shows children in Sheldon's Tennesseetown kindergarten picking cotton in their school garden. The school was started by Rev. Charles Sheldon for Topeka's poor, especially those living in Tennesseetown located north of Central Congregational church in Topeka, Kansas.